Last night I cried. I cried a lot. 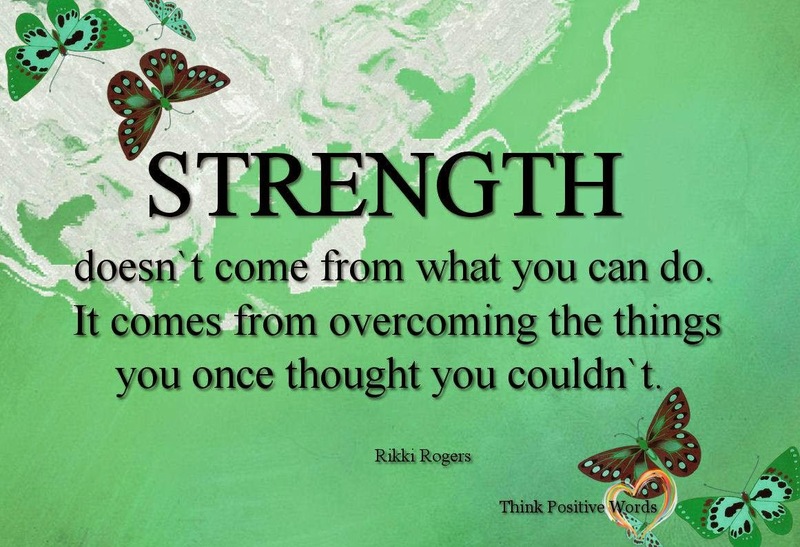 I cried because I had to get it all out of my system so that I could be strong today. You see, today is a day I had hoped would never come. I had hopes that Alex would be walking by now. The reality is that he isn’t and that is ok, but in order to help him feel like his peers at school when he goes to Kindergarten in the fall we need to get him a wheelchair. Yes, a wheelchair. Now you know why I cried. 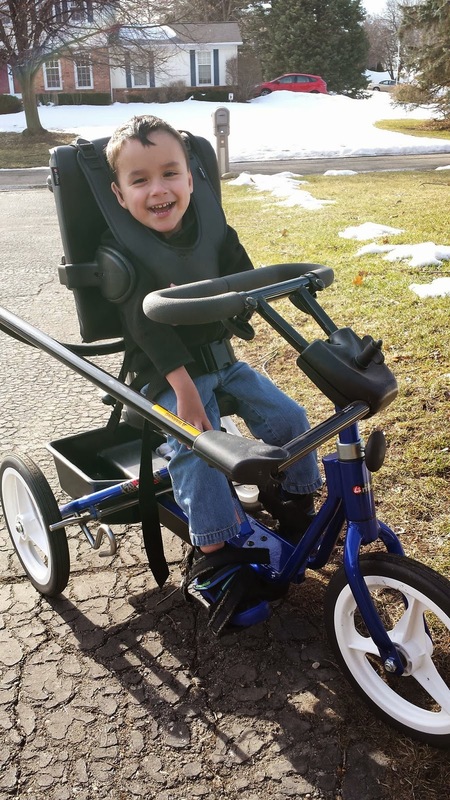 It is a hard pill to swallow when you have to come to terms with getting a wheelchair for your child. It is no easy fete and all I can do is remain strong for my little boy. I have to be strong, positive and encouraging while he is going through this so he knows that there is nothing wrong about being in a wheelchair, that he should not be ashamed and to tell him how great he looks. Inside I will be crumbling into little pieces. Part of me feels defeated. Like this is the end, but it's not because I am not going to allow it. The wheelchair is to simply be used for Alex to sit at the table with his classmates, to be transported down to the cafeteria so he can eat with his friends and sit next to them in Art class and Music Class. Nothing else is going to change. He will still sit on the floor, he will still go on the swings and he will still roll around the floor. I will make sure that the wheelchair will not be used as an out. 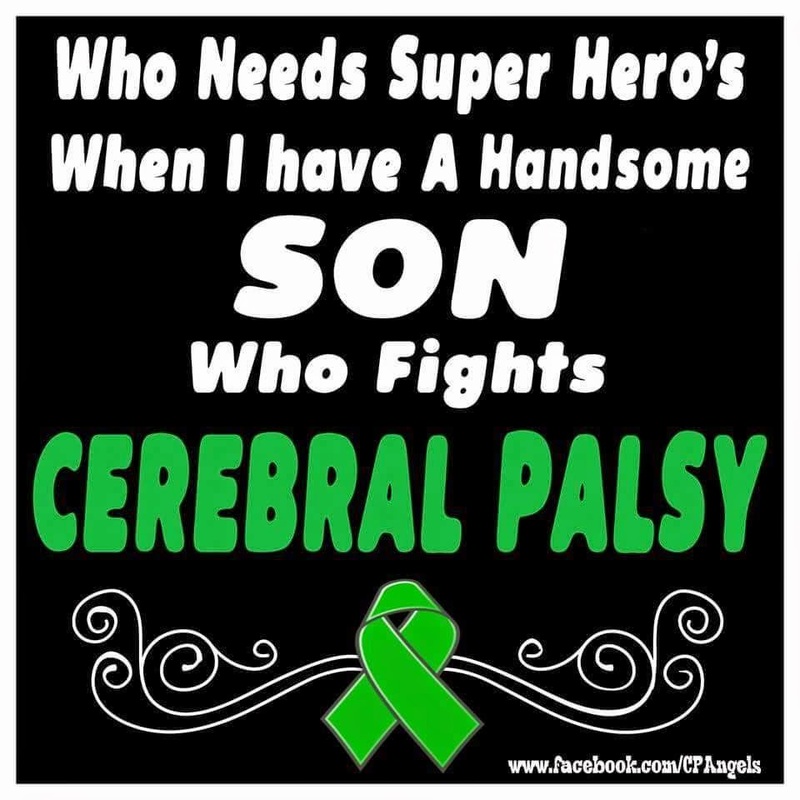 I need him to be as mobile as possible so he continues to build his strength so he can hopefully walk someday. Just this morning as I was in the waiting room at therapy, in walks a little boy maybe 3 years old. He walked in using his walker and I couldn’t help but smile immediately. He walked right up to the play kitchen that was next to me and he stood and played alongside of his two brothers. After a few minutes he fell down. His Mom said “Fix yourself, come on you can do it”. She made the other children move so that he had room. He was on his back and he rolled over, got to his knees, pushed up onto all fours and crawled over to his walker where he pulled himself up to the walker. I stared at him as he did this because there was something about him that reminded me of Alex. It was as if this glimmer of hope was restored back inside of me as I watched this beautiful little boy do something so amazing in my eyes. It was like I could see Alex doing it as he was. I am really glad that I got to see that today. It made my heart smile. It gave me hope and the strength to believe that everything is going to be ok. I am human and I can only handle so much. Seeing my child struggle with certain things and to be on a completely different level than his peers is hard. But in the end, he is who he is and he is amazing and wonderful and I wouldn’t trade him for anything. I feel like that is hard for some people to understand. Why wouldn't I want my child to be "normal"? In this crazy world we live in, I am not sure what "normal" is. But I have a great kid who is happy and lovable and has changed my life so who would want to trade that?